Pork meat, choricero peppers, garlic and salt. 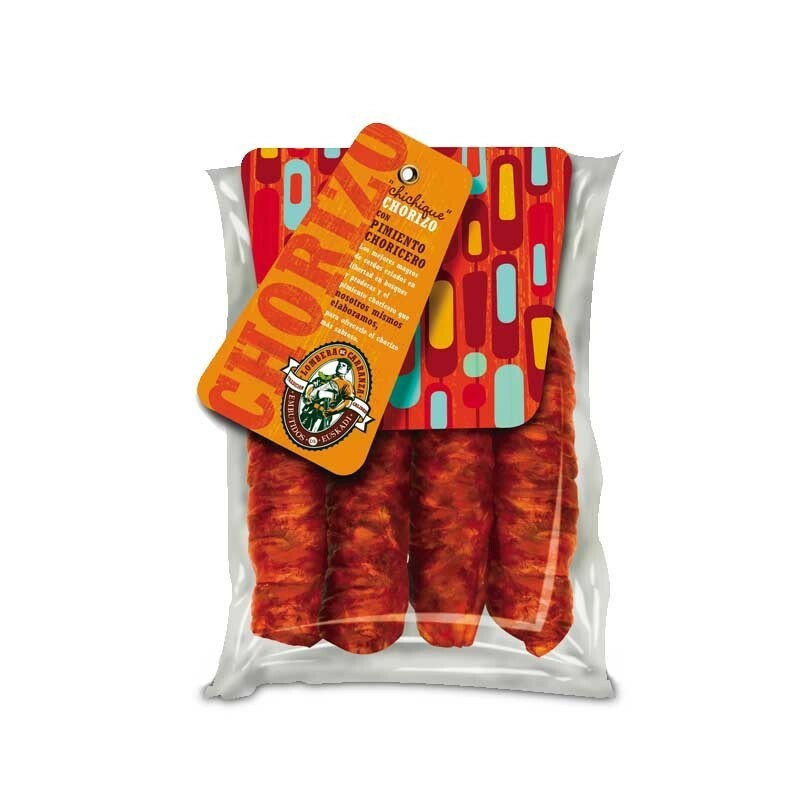 Smoked with oak wood, and following the 'txarriboda' traditions for sausage making, production is carried out in a home-style tradition, following traditional recipes using choricero peppers. The key to our success is maintaining the simplicity of the recipes for the last four generations. Ingredients: Pork meat, choricero peppers (15%), salt, garlic, sugarheri, stabilizer(E451i) and antioxidant (E316). Absence of gluten. Product suitable for coeliacs.